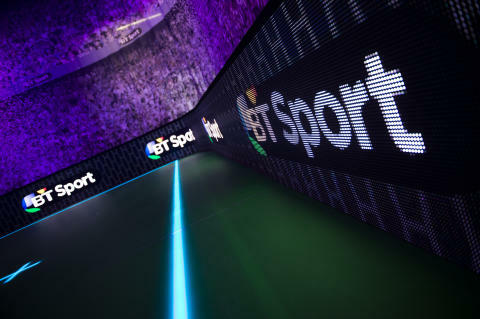 Sport fans can look forward to an exciting line-up on BT Sport across multiple platforms over the coming months, including the debut of new shows and exciting line-up changes. BT Sport becomes the sole home of the UEFA Champions League with comprehensive live match and highlights coverage all on BT Sport. Coverage features a new ‘double-header’ format of group stage kick-offs (17.55 and 20.00) for each match night. All of this complements a packed schedule of live sport, led by live Premier League action, more matches than before from the Emirates FA Cup, UEFA Europa League, Scottish football, exclusive coverage of MotoGP, continued WTA coverage, live boxing and, for the rest of 2018 all of the UFC. Rugby fans can also enjoy the best action as BT Sport becomes the home ofdomestic and European club rugby, continuing as the lead broadcaster of the Gallagher Premiership rugby, and new for this coming season, it will be the sole broadcaster of every Heineken Champions Cup match. BT Sport will bring fans live coverage of all ten matches per group stage weekend, plus the knockout phase, across its platforms, taking in live Friday night and Saturday night matches. Fans will also continue to have access to Rugby Tonight,as BT Sport's panel of experts are joined by guests and a studio audience to discuss topical issues each week. Boxing fans can look forward to a top-class line up of fight nights featuring boxers from the Frank Warren stable, with the blockbuster Belfast card on 18 August when Carl Frampton defends his ‘interim’ WBO world featherweight title and Tyson Fury makes his second heavyweight comeback fight. This is ahead of the launch of BT Sport Box Office in September which will offer fans access to some of the very best bouts worldwide. 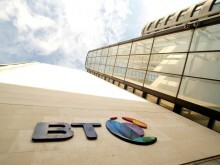 Supporting BT Sport’s programming will also be a number of innovations including ultra high-definition 4K TV, VR360 plus expanded availability of the channels across devices. Fridays: BT Sport’s weekend coverage will typically kick off with live Friday night action from the Gallagher Premiership rugby, the Heineken Champions Cup orthe Scottish Professional Football League. Saturdays: Saturdays get underway at 11.30 on BT Sport 1 with new show Saturday Morning Savage. Robbie Savage and Jules Breach host topical football debate and fun before the Saturday action begins. Robbie and Jules will be joined by special guests in the studio and on the road, including our team of fan reporters on their way to games. BT Sport’s Saturday coverage typically continues with live lunchtime football action from the Scottish Professional Football League, FA Women’s Super League or Vanarama National League, followed by results and analysis show BT Sport Score. Saturday afternoons also feature live action from the Gallagher Premiership or Heineken Champions Cup rugbywhile from Saturday tea-time see BT Sport offers live Premier League action, followed by the first place to debate the day’s developments, Premier League Tonight, then often rounded off with Fight Night Live featuring live boxing. Sundays: fans can typically enjoy additional live Gallagher Premiership rugbyor Heineken Champions Cup action plus live coverage of Germany’s Bundesliga. On 21 August on BT Sport 2 (22.15) BT Sport debuts a new show Fan TV: Call Yourself a Fan. Hosted by Lynsey Hipgrave and Max Rushden the show, which will run into the autumn, pits super fans of Premier League clubs up against one another to determine football’s most knowledgeable and passionate fans. EE has launched an enhanced BT Sport offer - allowing customers to use their free BT Sport app access to watch sport in HD on multiple devices. New and existing EE pay monthly mobile or tablet customers who haven’t used EE’s original BT Sport offer can get three months’ free access with inclusive data. Customers who have redeemed the original offer can still benefit: they’ll be able to access all of the above for just £5 for the first three months, saving them up to £30. BT Sport will enhance its social media coverage, for example making selected UEFA Champions League content available on social media. It will extend its social-first content series, No Filter, which explores key sports occasions and personalities. BT Sport will continue using the latest broadcast technology, with Premier League, UEFA Champions League and Emirates FA Cup games made available in ultra-high-definition 4K with Dolby Atmos sound. For the first time, every live Scottish football league match will be broadcast in ultra-high-definition 4K. BT Sport will extend the availability of virtual reality VR360 coverage on UEFA Champions League matches. The BT Sport App will offer its award-winning enhanced player on rugby for the first time, allowing users to enjoy multicam replays for select games across key domestic and European rugby.